for $1,450,000 with 4 bedrooms and 1 full bath, 2 three quarter baths. This 5,315 square foot home was built in 1979 on a lot size of 42.68 Acre(s). 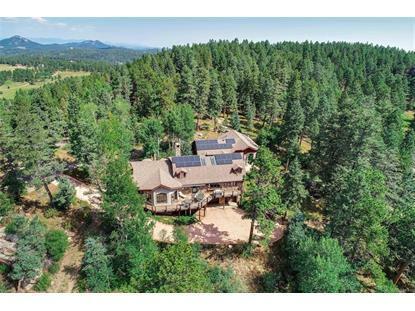 This magnificent property sits on 40 acres w/ the most spectacular views of the Front Range, Continental Divide, & City of Denver. 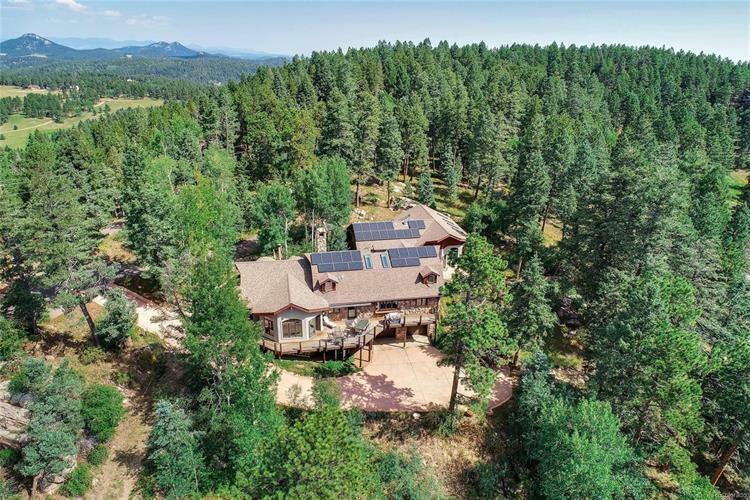 Off the south facing back deck you will enjoy views that stretch 45 miles over Deckers, Devils Head & all the way down to a picturesque view of Pikes Peak! The sprawling 1.5 story home offers main level living & boasts over 5, 000 sqft of living space w/ an abundance of amenities. The main house was originally constructed in 1979 of solid stone all sourced & mined from the property w/ 18 inch thick walls. Since then the homes has undergone 2 additions in 2001 & 2006 to bring this exquisite home into the 21st century! The interior offers a gourmet kitchen w/ butler's pantry & high end appliances, hand carved wood, stained glass, 20ft beamed ceilings, large formal living & dinning rooms, master suite w/ 5 piece master bath, his & hers closets w/ laundry facility, updated bathrooms w/ granite, radiant in floor heating & 2 massive wood burning fireplaces!